My home and destiny are in Yellowstone country, and my time in the District of Columbia is merely an interlude on my travels to the land with much to teach me. Yellowstone National Park lies on one of the world’s largest volcanoes. It is so large that it has been deemed a supervolcano, one of only a few that exist in the world. To give you an idea of the magnitude of the Yellowstone supervolcano, imagine a volcano. At the peak of a volcano, at the top where all the lava and ash come out, picture what that looks like. How wide is that peak? In your mind, perhaps a couple dozen feet, perhaps, hundreds of feet, perhaps in some cases you imagine a large hollowed out crater that can stretch perhaps a quarter of a mile. This area is called a caldera. Yellowstone’s caldera, its peak, is 60 miles wide. 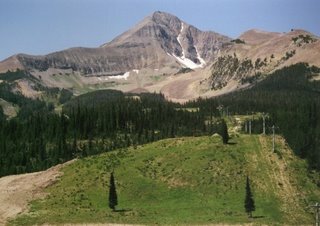 In fact, a large chunk of the park exists in the caldera itself; that is, in the volcano’s peak. Beneath that 60-mile caldera is enough volcanic activity that when it next explodes it will have catastrophic effects on the global environment. Everything in a large radius will immediately die, chlorine gas will cover the United States, ash will cover the northern hemisphere, the global temperature would drop so dramatically that we would immediately be thrown into an ice age that could last at least 10 years. Since large chunks of the Missouri River system and the Columbia River system arise out of Yellowstone, one can only imagine what that might do to the river systems. The Yellowstone supervolcano’s explosion will be at least 10,000 times more powerful than that of Mt. St. Helens. Major explosions of the supervolcano happen every 600,000 years or so; it’s been 620,000 years since the last major explosion. The last supervolcano explosion happened 70,000 years ago in Indonesia and nearly wiped out the human species. 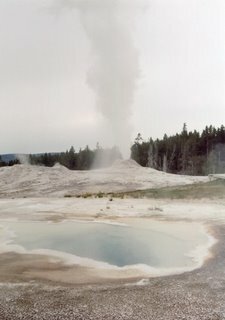 Of all the things to mention about Yellowstone, and there are many, why am I singling out the supervolcanic nature of Yellowstone? I do not believe that anything that happens in my life rises to the level of the supervolcanic, and yet there has been something deeply volcanic and transformative about my life in the District of Columbia. It is in the backdrop of a life eruption that I write today, as I contemplate my time in Wonderland. When I moved to Washington, DC, in 2000, I came as a graduate student in philosophy, finishing up my M.A. at the University of Toledo and pursuing a Ph.D. at Catholic University of America. I came as a married man, one struggling to deal with a recent infidelity I had discovered of my wife. I did not realize then that that affair was continuing for quite some time even as the move had happened. The forces of volcanism work even if we are not aware of them on the surface. In November of that year, Bush stole the election, and that’s my sincere belief. I became involved in protest for the first time in my life, in large part because of that, in large part because I had felt a moral failing at seeing the Peace Park anti-nuclear vigil in Lafayette Park by the White House and having done nothing for or having said nothing to them. For a brief time, that inspired me into activism. Personal volcanic issues, however, put an end to that before the end of January 2001. I had met a young member of our aspiring group of activists who was going through great difficulties in her life. The course of that interaction was difficult and complicated and very draining; eventually, I chose to withdraw from the situation. Before that, most in the group had become disillusioned and unable to come to terms with the different motivations bringing them there, and the group fell apart. I withdrew from that and stayed involved only sporadically. After September 11, I went to the ANSWER protest in Freedom Plaza and found it profoundly disappointing. That sent me into another shell, which I came out of briefly in April 2002 to work on the edges with Buffalo Field Campaign, who held a march for the Yellowstone bison and against Department of Interior policy. However, another volcano struck in the fall of 2002. I began to have a longterm falling out with my best friend Matt, one that has never really healed entirely, that was intensely emotional. The falling out had to do with my own years of dishonesty with Matt, in not telling him many things I felt, and many things in my life that I didn’t let him in on. When all the honesty came out like an explosion of lava, Matt was deeply penetrated and hurt, and this led to our falling out. While we were in the process of fighting this out, I found out the extent of my wife’s infidelity, and I had to immediately turn to this crisis in my life and leave things with Matt to the side for a very long time. I became very disenchanted and did not know what to do. I had thought of leaving my wife, but I had no idea where to go. Life was nowhere near where I wanted it to be, and I did not know what else to do but to try and make things work with her. Yet, in my heart, I continued to grasp for more meaning. That’s when the lead-up to the Iraq war was getting intense, and I decided to go to an anti-war protest to get perspective. I wrote about that experience, which was a chronicle as much of my dealing with the emotions I felt over the extent of the infidelity as it was about an anti-war protest. This volcano ultimately led after a matter of months into my involvement in the DC Anti-War Network, a group I belonged to until last evening. My time in DAWN was one of gradual involvement. The type of constant, kinetic organizing that DAWN does takes an awful lot of commitment. Being shy, I did not know where to fit in and was not sure I liked the character of the group enough to plug myself directly into it. DAWN has always been a pit of boiling tensions that remarkably held together through it all. I guess some volcanoes take much longer to boil over, and in this case, DAWN was limited to individual spats and small soap operas that consume any group. I found a new purpose in anti-war organizing, so much so that I decided I had little interest in finishing my dissertation in philosophy (all that I had left for my Ph.D.) I found little interest in teaching, though I would teach up through Fall 2003. In protest, in action, in finding a community of open organizers where my ideas might matter, I found something finally that I felt compelled to do. However, with that kind of organizing and given my personal struggles, one meets new people and finds oneself in new situations. I had never come to terms with my wife’s infidelity, and I found it very easy to be attracted to new people. One special person, in particular, captured my heart. I one day kissed her, then decided then and there that I needed to tell my wife about it and reconsider our entire marriage. I wasn’t sure even at that moment (nor would I be for months) that the marriage was over, but it was. In my own heart, it was probably over the previous year, though I tried very hard to overcome our problems. Perhaps, my mistake was not being honest with myself then, though I was honestly scared about survival as well. I never became involved with the person I kissed, who remains a dear friend of mine. Yet, this personal crisis took me further into anti-war organizing, and during the course of that I met someone else very special who was also going through her own personal volcanoes related to relationships. In the course of talking about our problems, in being there as friends, in working together in anti-war organizing, we became best friends and lovers. Her name is Genevieve, and we remain together to this day. With Genevieve, my work as an activist turned me into an organizer as well. I became much more involved in DAWN and began taking on very ambitious projects. At a time when involvement in anti-war organizing was diminishing, I worked all the harder and believe that I had some very good results, climaxing with the successful protests at the counter-inaugural where we drew very large numbers of people and created an environment that was empowering for a large number of groups. I don’t think any of that would have been possible without the volcanic activity beneath it all; it surely would have been extremely hard if I had not had someone in Genevieve who was as committed to this as I was. Over the next years over the present, life sorted itself out. While 2004 found me largely jobless, that ultimately worked out. I spent a lot of 2005 finishing off my divorce, going through bankruptcy, and from a life standpoint in a state of dormancy. Even my first visit to Yellowstone since 1998 only managed to renew my need to move out there, but it did not seem earth-shattering. Life events like moving (again and again), breaking my clavicle, and normal activist infighting seemed par for the course. However, things have changed. Over the past year, the call to return to Yellowstone has been an obsession with me. When I finished recovering from my clavicle injury, I became obsessed with the idea of taking a vacation to Yellowstone where I would travel everywhere by bicycle and where I would live out of a tent. This idea so aroused me that I became religious about exercise, something I’ve never ever been religious about, even when I was a successful athlete. I biked not only for utility but also as an increasingly rigorous training. I started to do push-ups and sit-ups with increasing difficulty most every day. After awhile, I even took up running again, something I had not done for years. My whole life was pointed to today and the next couple of weeks in part as a preparation for a future move to Yellowstone, which may come sooner rather than later. Activism has become a way of life for me, and that way of life will become my lot in Yellowstone. 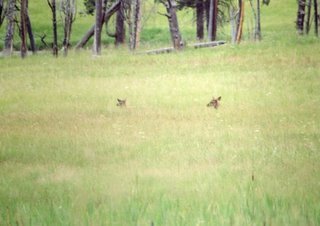 It would be the same activism, the same holistic view of the world, only seen through the prism of what arouses my passions the most, that being Yellowstone country. I have been content to wonder how I might best fit and contribute into a world of advocacy for Yellowstone in the context of a larger critique against all systems of oppression and all authoritarianism. My whole thinking about Yellowstone, the national parks, the management of parks, have been colored by my time in the District of Columbia. Yet, the volcanoes do not end. My involvement with the DC Anti-War Network ended last evening, and part of my heart is broken by this. I would not have written anything like this about my trip to Yellowstone, so focused on intimate life details and on what is happening in this land, if something very dramatic did not happen yesterday. For years, I have had a lot of issues with one member of the DC Anti-War Network, a person named Carol Moore. For years, I have felt that she has tried to undermine work that I was doing in the group we call DAWN, especially the more successful it became. Over time, I received many personal attacks by email, and it even reached the point where she was trying to turn people in other groups, like the Washington Peace Center, against working with me. Of course, most recently, she did so because she was called out for bigotry, among which was anti-Semitism. I will not rehash why I believe in my heart of hearts that Carol was and remains guilty of bigotry, has acted on that bigotry, and has used the reasoning that makes what she does bigoted as a vial of poison that she uses to wedge and destroy vibrant relationships. The fact is I do. Like it has been for so many other activists in respect to Carol, I decided this week that I could not occupy the same organizing space as Carol and feel comfortable or effective as an organizer. When Carol failed to remove herself from the poisonous situation and DAWN failed to compel her to do so, I decided to leave the group. At this point, the only things that could cause me to return are an affirmation that the group would actually hold each other accountable for upholding its points of unity, which renounce bigotry, and an affirmation that a diversity of tactics be respected. Each of those things would mean the end of Carol’s involvement with DAWN. Since the group would not come to that decision, with something akin to the rationale that peace equates to permissive appeasement of oppressive behavior, I made a gut wrenching decision to leave the group. I feel sick inside that the years I have put into DAWN are now at an end and that I leave behind an organizing relationship with people I count among my friends. Others joined me, and we will be forming a new group that will have as its goal working to destroy all forms of authoritarianism and oppression. It will do so by working with a respect of a diversity of tactics, will hold each other accountable for working toward that goal, and it will do so using an open and non-hierarchical process. This is a volcano that might not be of huge proportions on the global scale, but it is a huge volcano for me. You cannot understand from a few pages how much DAWN meant to me, how much I feel that what happened last night was an act of faithlessness by the group in its duty to stand up for justice, and how profoundly sad I feel. This is happening in the backdrop of a severe crisis at the Washington Peace Center, which is fighting now for its survival. I begin this trip to Yellowstone at a time of incredible dynamism and volatility in the human world I find myself. It will only be ironic if the Yellowstone supervolcano explodes while I am out there. No one will be talking about DAWN then. People in DC will be organizing for their own survival, and I will be dead. In Yellowstone, there is magic, a magic that is at once disruptive and healing. 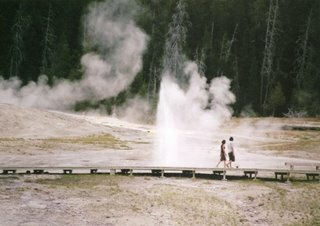 It is not soothing, except sometimes in the enchanting waters of the Boiling River or gazing upon the stars over Yellowstone Lake. It is a deeply disturbing magic that stuns the senses silly. One doesn’t need to experience one of the many earthquakes in Yellowstone to feel great earthquakes of being and perspective. In the sulfur air, there is hope, but it’s not the hope for a peaceful tomorrow whatever that is, but the hope for a compelling peace right now and today, one where a person has the peace of mind of standing for something, among something, and with something without compromising one’s integrity. 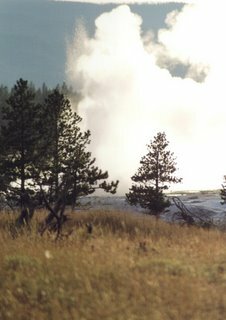 If Old Faithful must go in a moment of volcanic fury, then so be it. 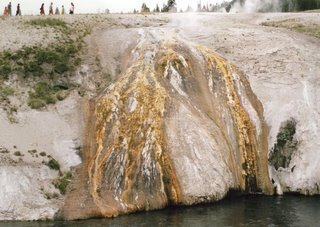 Not even the holiest shrine in Yellowstone is sacred to the fury of the supervolcano. What is sacred is our attitude in the face of such realities. We have to be willing to let the volcano explode, to let it take us where it goes. We have to see that the transient nature of being is so remarkable that we are thoroughly irrational if we think we can simply control it. We must strive with it, at times against it, but always with a sense that being true to it is just. As painful as it was for me to leave DAWN last night, I see this explosion as simply an opportunity, and I see what happened as a moment where I realized that prolonging the explosion could only been done at the terms of compromising a deeply held set of core beliefs. It took a long time coming to build to that moment, perhaps too long. I am deeply looking forward to embracing Yellowstone. 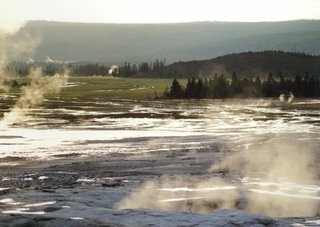 I had the good fortune of having just taken a work trip to Big Sky a few weeks ago and even found an afternoon to give co-workers a tour through the Firehole River geyser fields within the caldera. The steam was everywhere; the explosions were petite but grand. One day, too, that show will come to an end. We will return to dust, and we cannot live if we cannot face that reality. We cannot possibly undo the oppression of the world if we think we have a better, lasting reality. There is no reality better than the one we now have; and though that sounds like a very strange thing to say given all the injustice in the world, the thought gains poignancy when one realizes that so much of what’s wrong with the world arises from what we feel we need to do for the world. For me, resistance is one of erasing vanity, of removing the blinders, of finding a better way to relate. And, of course, that we could do these things better suggests that a better world is possible, but that world is not one we make; it’s merely one we open our eyes to. Instead, we have a world deeply fraught with vanity, and I will experience some of that in my flight, in the campgrounds, at the towns and concessions, and in experiencing the way the Parks are “managed” to “protect nature,” which is about as artificial and bizarre a way of looking at things as possible. Nevertheless, I shall be home in the land where my own volcanic nature seems to have its greatest resonance. For those of you I know and love, whether we disagree about the nature of volcanoes or yesterday’s volcano in particular or whether you stood by me and joined me in my decision, I miss you and will be back soon. For those of you I do not know, I only have a bit of advice you are free to ignore. Look for stress in life, embrace the pressure, and don’t fear when it explodes. That process can be wondrous, too, and what follows is just as wonderful, still, so long as we are open to it and true to it. Photos from my work trip to Big Sky, MT, July 22-25, 2006, with a one day excursion to Yellowstone National Park, July 24. Photos are mine; use them as you wish. 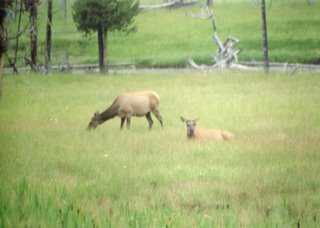 I will be returning to Yellowstone for a hiking/biking/camping trip this coming Thursday, August 17. I will write a lot more. 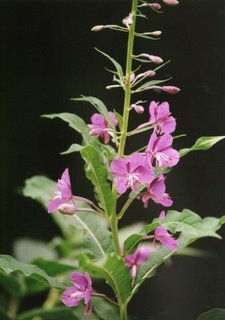 I took over 60 pictures; I picked out 13 to share. Hitting the picture will take you to a link to a larger version (and from there, you can even see them at full size at full resolution). The pictures come from http://bigsky2006.fotopic.net/c1050276.html. Lone Mountain, 11,166 ft. from my hotel suite. I would climb near the top of the leftmost ridge. 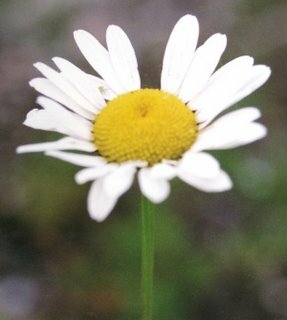 A daisy on a small trail on a lake near the resort. 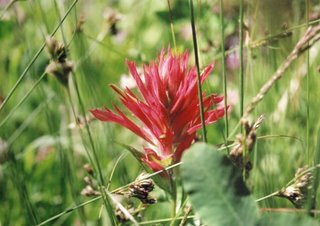 Hiking on Lone Mountain; this is Indian Paintbrush. Further up Lone Mountain, this great shot is mountain pentsemon. I took this from my perch about 10,000 feet high. You can see the Big Sky resort way down in the valley below and rain in the Gallatin Mountains across the valley. 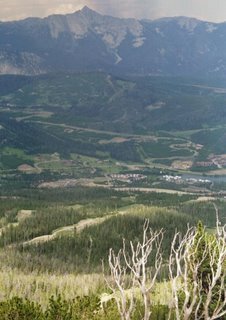 Because of thunder and the treacherous, rocky trail, which I had more or less lost, I went back down without attempting the summit. Here is an elk in the Madison valley. You get a sense of the scale of the valley. Near Old Faithful on Geyser Hill, Plume Geyser would go off periodically, reaching heights on our visit of about 20 feet. You can get a real sense of the scale here seeing the people above. This is a very typical shot of what the run-off into the Firehole River looks like from the various geyser regions. This is in the Upper Geyser Basin; it's also striking from Excelsior Geyser in the Midway Geyser Basin. Here is Lion Geyser erupting. It erupted right as we walked by it. I ran to Heart Spring to take a picture of the eruption for this visual effect. 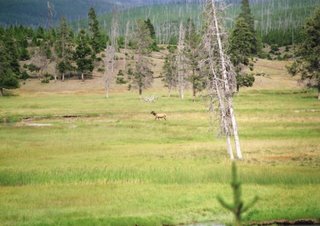 Along the Firehole River, between the Upper and Midway Geyser basins, we saw a lot of cow elk in beautiful meadows like this. Here are two more barely peaking up their heads. Clepsydra Geyser is always erupting. The light was great on this shot of a geyser I've had a notorious time getting good pictures. From the same spot in the Lower Geyser Basin near the Fountain Paint Pots, I was stunned by the way the light and steam gave life to the valley. "On Monday, the government said that since February, 30,359 families — or about 182,000 people — had fled their homes due to sectarian violence and intimidation. That represented an increase of about 20,000 people from the number reported July 20." Now, the question I have is this? If this is the displacement due to "sectarian violence," what is the total due to US violence? Of course, that's a false question - it's all of the "sectarian violence" AND THEN SOME. And, why do we keep biding our time with a sense that the US might be reformed or lobbied or petitioned? And, why does this number seem simply like a number? Do we feel it anymore? Or, are we, even those who resist prone to the same privileged bigotry? In Pine Ridge, there's currently over 80% unemployment and a life expectancy in the mid to upper 40s. That's occupation! That's America!